Northern governments and NGOs are increasingly convinced that civil society will enable people in developing countries to escape the poverty trap. 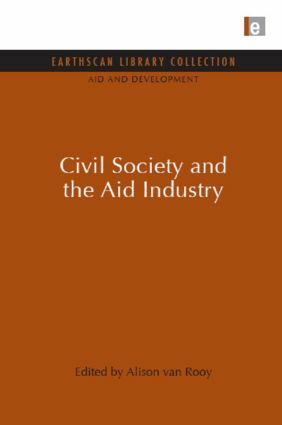 Civil Society and the Aid Industry, the product of extensive research by the prestigious North-South Institute in Canada, makes a critical appraisal of this new emphasis in the aid industry. It explores the roles of Northern governmental, multilateral and non-governmental agencies in supporting civil society, presenting in-depth case studies of projects in Peru, Kenya, Sri Lanka and Hungary, and gives detailed policy recommendations intended to improve the effectiveness and appropriateness of future projects. Civil Society as Idea: An Analytical Hatstand?